Not interested in the OnePlus 6T? Boy, have we got the deal for you! OnePlus has kickstarted its Black Friday sales by reviving the much-loved OnePlus 6 and selling it at a heavily discounted price in its official Amazon store. The handset, which launched worldwide on May 21, has been reduced by £70. For those who can't do the maths, that works out at £399.99 for the entry-level model with 6GB of RAM, 64GB of inbuilt storage and a Mirror Black finish. Since the OnePlus 6 does not support upgradeable storage via microSD, you'll want to make sure you opt for the right amount of memory for you. For those willing to spend a little more for the additional storage and RAM, OnePlus has also discounted the 128GB version of the OnePlus 6 to £449 – compared to £519 when the handset launched five months ago. This model, which boasts 8GB of RAM for speedier performance, is also available in a number of different finishes, including Mirror Black, Midnight Black, Red, and Silk White. Finally, the maxed-out OnePlus 6 with 256GB of storage and 8GB RAM, which was only ever available in Midnight Black, has been reduced from £569 down to £499. That's only £30 more than the 64GB entry-level model was priced at launch in May. Out of the box, the OnePlus 6 will be powered by Android 8.1. However, the handset can be upgraded to the latest version of the operating system via a free, over-the-air update from OnePlus. That same update also brings a number of the flagship new camera features announced for the successor to the OnePlus 6 last month, including Nightscape mode for challenging low-light conditions, and Studio Lighting that aims to recreate professional lighting effects. Unfortunately, OnePlus is keeping mum about how many OnePlus 6s it has safely stored in warehouses, so there's no telling how long these discounted handsets will be around for. 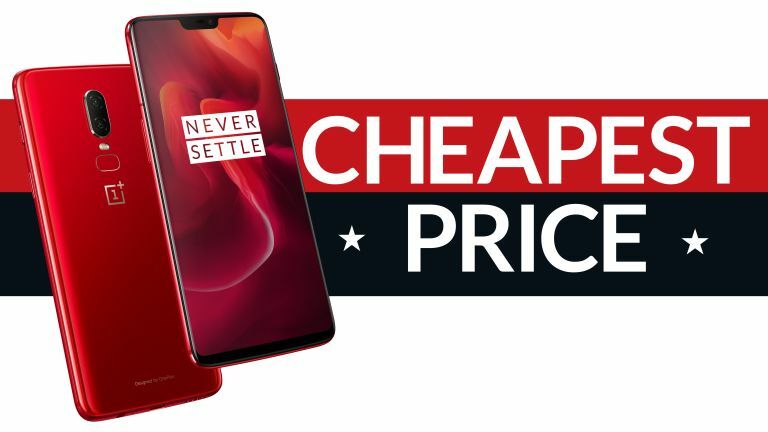 As such, if you're tempted to upgrade your smartphone to the OnePlus 6 at this price, it's worth adding it to your basket sooner rather than later.